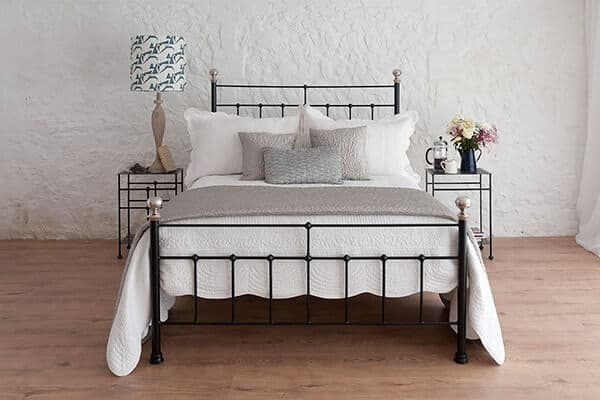 Handmade Iron & Metal Beds | Wrought Iron & Brass Bed Co. Treat your best friend, to a great night sleep. Available in 3 sizes and a variety of colours. Welcome to the world of the Wrought Iron and Brass Bed Co.
We are a family run company who have been hand crafting Iron and Brass Beds for over a decade. Hand crafted on the Royal Estate of Sandringham, all our beds come guaranteed to last a lifetime. Our fantastic range of bed styles are inspired by traditional designs with some contemporary decor thrown in there as well. 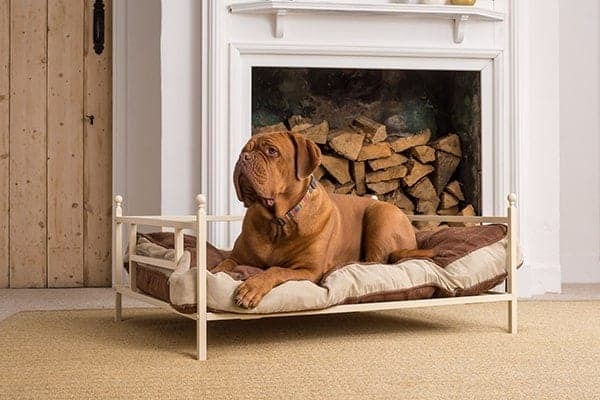 From our very popular handmade iron beds to our ornate iron and brass beds, there’s something for every home in our bed range. 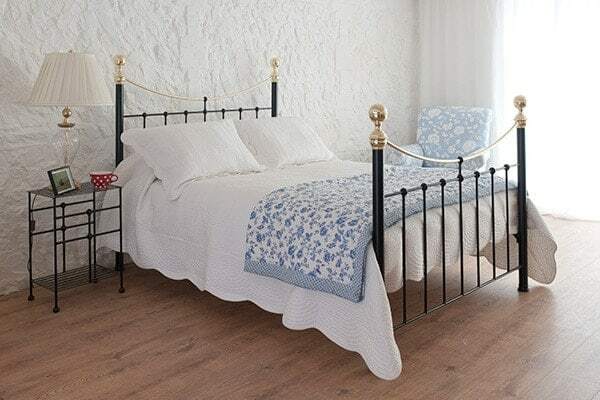 As all our beds are handmade, we’re also able to offer a full bespoke iron bed service; so if you’re looking to start a project with an odd shaped room or one with a challenging ceiling pitch, we can supply a service that adapts our Iron Beds to suit your needs. It’s not just our beds that are handmade in Britain, all our online mattresses and bed bases are too and everything comes with a manufacturers guarantee. You can rest easy knowing that your brand new iron bed and pocket sprung mattress have been carefully crafted for you, right here in the UK. 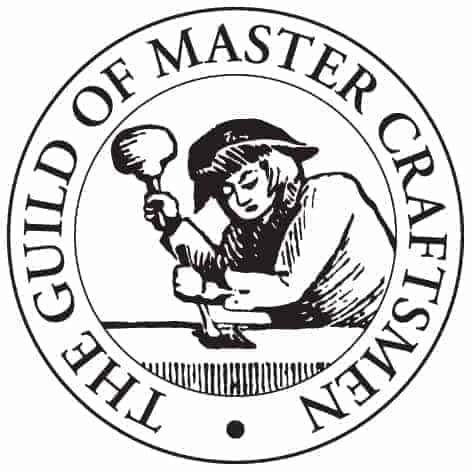 As members of The Guild Of Master Craftsmen, we’re able to supply beds that are perfectly suited to you and your home with the added value of the highest level of quality in our work. We offer a unique story behind our business and we’d love to share it with you, get in touch and you can find out why Wrought Iron And Brass Bed Co. is the family bed company you’ve been searching for. As, we offer something that no high street store can… a family story. If you’d like to discuss any aspect of our iron beds, then please do not hesitate to call us on 01485 542516, visit us at our Norfolk showroom or send us an email.